Judith Creed feels like she’s given birth to her son twice. Once, when Jonah was born 46 years ago. And once, 11 years ago, when her son was battling kidney failure. Doctors carried her kidney from one operating room to the next, into her son’s waiting body, and immediately it began to work. It brought a pinkish color to his pallid skin, flushed toxins from his body, and forged a bond with his mother that transcended even the expansive dimensions of motherhood. She had given him a body part. 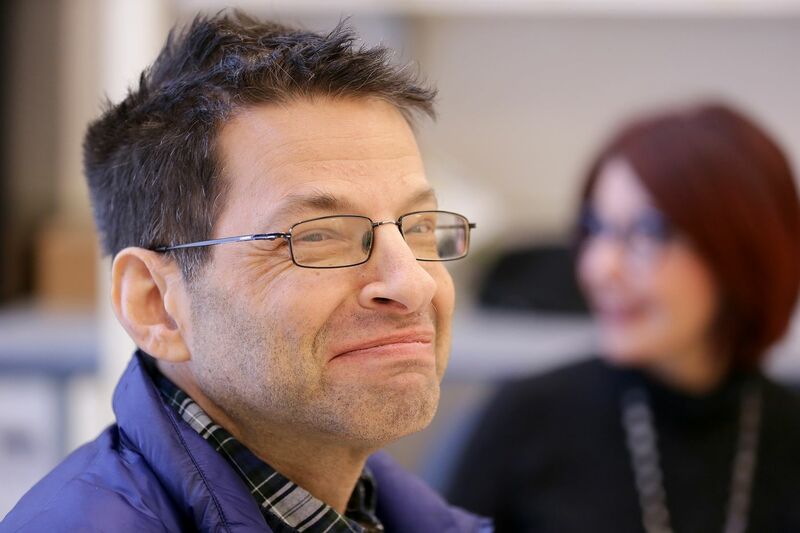 But now, Jonah Selber’s kidney is failing again. And a mother who has shaped her life around her son cannot give him life a third time. Jonah was quiet when he was born. Too quiet. Judith, a speech pathologist, knew something was wrong. Doctors gave her grim advice that seems insulting, even given that it was four decades ago. Jonah had what we now describe as cognitive disabilities, and the doctors told Judith to institutionalize him. He will destroy your family, they said. Judith, who is 74 and lives in Center City, did not accept that. Instead, Jonah’s success helped define his family. Judith and her then-husband, Jerry, raised three kids — Jennifer Selber, an executive deputy state attorney general who runs the office’s criminal division, and Jesse Creed Selber, a surgeon at the MD Anderson Cancer Center of the University of Texas. For Jonah, there would always be limitations. Judith understood that. But they could be pushed. Forget an institution, she thought. Her son needed a place where he and others like him could live fulfilling lives. So, in 1987, after Jonah graduated from a specialized high school, she put an ad in the Jewish Exponent for parents of children with cognitive disabilities. More than 50 people showed up, and from that ad came Judith Creed Horizons for Adult Independence (JCHAI) — which grew from a home in Wynnewood to a supportive vocational and community living network that serves 165 adults. In the three decades since its founding, society’s understanding grew of how inclusion, not isolation, can help people like Jonah. Born with cognitive disabilities, Jonah Selber is proud of the independent life he has built for himself. Now, he needs a kidney to survive. Beyond all his mother’s dreams and fears. A child who doctors would have regulated to institutions has become a role model for the type of fulfilling lives people with cognitive disabilities deserve. He lives in one of JCHAI’s apartments in Bryn Mawr, where he cooks spaghetti and hamburger dinners. For 20 years, he’s worked as a do-it-all delivery person in Thomas Jefferson University Hospital’s tech department. A star employee, said his boss, Larry Lawhorn. “He’s one of the boys,” Lawhorn said. A people person, he’s a die-hard sports fan, movie and political buff, an expert on the Golden Oldies. A guy who doctors said might never learn to talk has honed a sharp sense of humor. “I’m proud of my independent life,” Jonah told me during a work break. He’s done more than just live by example. Through his stepfather’s philanthropic organization, Jonah started a scholarship program for Adults With Developmental Disabilities, a Jenkintown nonprofit that organizes social activities for people like him. But 16 years ago, Jonah faced a new challenge, a life-or-death one, when he suddenly developed kidney disease. His body was failing. He weighed 111 pounds and had turned green from toxicity. From the state donor list, he received a cadaver kidney. But it began to fail — and in five years he was facing dialysis. Judith was ready. “There was just no doubt I was going to give him my kidney,” she said. A kidney recipient’s body will always fight the transplant. Immunosuppression drugs help. But every few years, tests would show that Jonah’s body was slowly rejecting the donation. A reminder that his mother’s kidney was not forever. That eventually his kidney would likely lose the power to clean his blood. That time has come. Jonah has end-stage renal failure, with only 14 percent kidney function. The waiting list is three to five years. Jonah does not have that time. 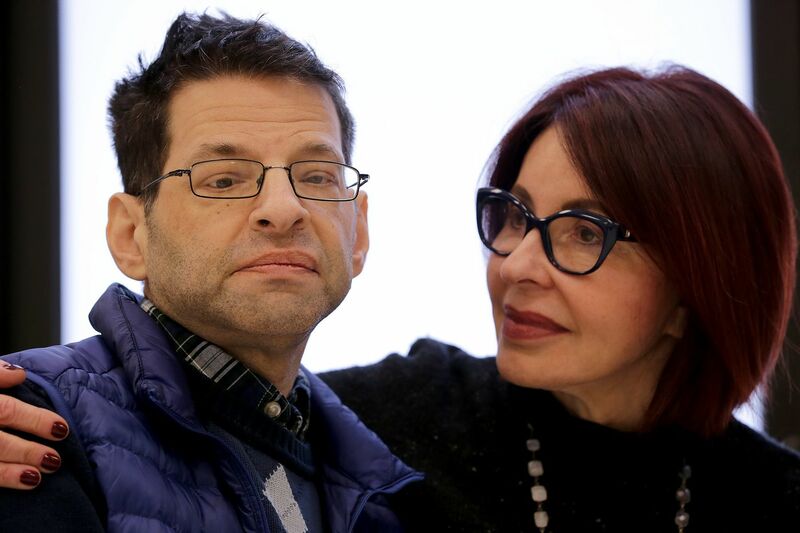 A family friend directed Judith to Ellis Mirsky, a New York lawyer, who recently found a kidney donor for himself after starting a social media campaign. Mirsky helped Judith set up Kidney4Jonah.com. On it, Judith writes of Jonah’s journey — and provides information on how prospective donors can confidentially talk with Jefferson transplant professionals. She’s just asking people to share the site. Nine donors have stepped forward — including five strangers — but none has been a match for Jonah’s type O blood. Jonah is doing his best to keep strong, though he finds himself growing more fatigued. He laughs often. “So I don’t feel so depressed,” he said. He remains hopeful. So does his mother, who has given all the life she can to her son and now works to find someone else to save him.